I'm enjoying an at-home yoga retreat on Monday 11 June. Will you join me by arranging one for yourself? Subscribe and receive tips on planning your own at-home retreat. There's a long weekend coming up in a couple of weeks and I'm planning to spend the Monday enjoying a day-long yoga retreat at home. I love at-home retreats! It's a chance to break from the normal routine; to escape from the distractions of the online world; enjoy activities I never seem to have time for; and slow down, pause and reassess my dreams, my plans, my goals. I always feel more focused, re-energised and ready to face the everyday after a retreat. The original idea of an at-home retreat came from an article by Kelli Prieur in the Australian Yoga Journal . This blog post describes how I set up my at-home retreats using Kelli's tips and my experiences at retreats in Sydney and the Central Coast. Before you start thinking of all the reasons why you can't do an at-home retreat, think of ways that you might be able to incorporate or work around the “distractions”. For example, you might choose to do a half-day retreat or make the retreat a couples or family retreat. A lot of work goes into planning a workshop or retreat, and it's no different for an at-home retreat. What is the intention or objective for your retreat? Do you want to relax? Eat healthily? Pamper yourself? How much time can you spare for your retreat? Half a day? A day? Longer? Is this retreat just for you or will family or friends join you? What activities do you wish to include? You might plan to go out for part of the day, especially if family or friends are joining you. Being outside can calm and uplift you. Refer to the References and Links at the end of this post for ideas for yoga activities. Whatever activities you choose, avoid chores. Chores can be tedious and boring, and create stress. If you were at a retreat away from home you wouldn't be doing chores so ensure that this at-home retreat is dedicated to relaxation and self-care. Are you going to cook, dine out or have your meals home delivered? What do you need for your retreat? If you're cooking your meals, do you have all the ingredients you need? What about equipment or supplies for the activities you planned? What do I do? I use my at-home retreats to disconnect from the digital world, to journal, practice yoga, meditate, and indulge in hobbies like reading, photography and cooking. You've chosen the date and have an idea of the activities and meals for your retreat. You want to avoid the need to run off to the shops last minute for something. Clear and set up a space for yourself. What do you need to make your space relaxing and calming? Incense? Candles? Flowers? CDs or playlists of favourite music? Do you have all the equipment or supplies you need? Complete or delegate urgent tasks. If you were attending a retreat away from home with no phone or internet access, what tasks would you need to complete and which could wait until you return. Clean and tidy up your ‘retreat’ areas so you won't be distracted by household chores. Consider drafting a schedule for your retreat. If you're planning a retreat longer than a day, think about drafting a daily routine with set times for meals and periods for activities. Having a routine can help ease the mental load. Tip: Allocate some time for cleaning up after meals. I find an ever-growing pile of dirty dishes distracting and stressful, and use cleaning up to practise mouna (silence) and mindfulness. Enlist help from family and friends, if needed. Again, imagine what you'd need if you were going to a retreat away from home. Would your family look after the children? Would your partner arrange meals? Confirm that you have everything you need. Clean and tidy up your area. If you're doing a digital detox (that is, staying away from the computer and mobile devices), inform your regular contacts that you'll be offline. I generally tell my family that they need to contact me using the landline phone or by phoning Hubby, and then turn off my mobile devices or place them in flight mode. Aim to get a good night's sleep and wake up early. ‘Early’ might mean something different for you. As the body responds to light, I try to be up around day break. Personally, I find having a loose schedule for my at-home retreats helps me focus on the day and not have to spend as much time deciding what I'm going to do. Use the sample schedules for your own retreat or as guides to creating your own. Journalling, an activity that was suggested in the Australia Yoga Journal article and one that I enjoyed. 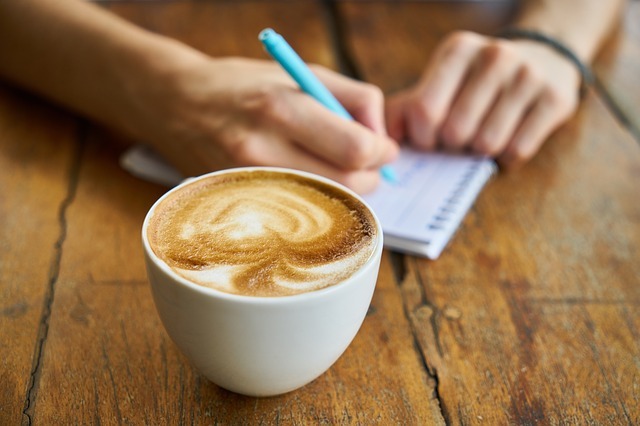 There were two journalling sessions suggested: a morning session of free-flow writing to clear the mind, and an evening session to reflect on the day. I like to do yoga nidra in the mid-afternoon when I need a bit of an energy boost. The seated meditation is either done in the morning to set me up for the day, or in the evening to clear my mind before bed. I try to schedule a walk into my day, or at least a meal or coffee on the verandah. Inevitably, the schedule changes because I wake up later than I plan, an activity takes less or more time, or I find out that I was so stressed that a day of relaxation leaves me tired and needing to go to bed early! Don't be in a hurry to get going and complete activities. Even though you've a schedule for the day, use it as a guide. You can always adjust times and change or skip activities. Most importantly! Enjoy yourself. You deserve this "me"-time. Includes links to yoga sequences and downloadable relaxation practices. Day 1: After Christmas Cleanse is a gentle class. For something more dynamic, try Day 7: Greet the New Year.